My Excellent Experience With A Fine Grape | All I Do Is Eat! 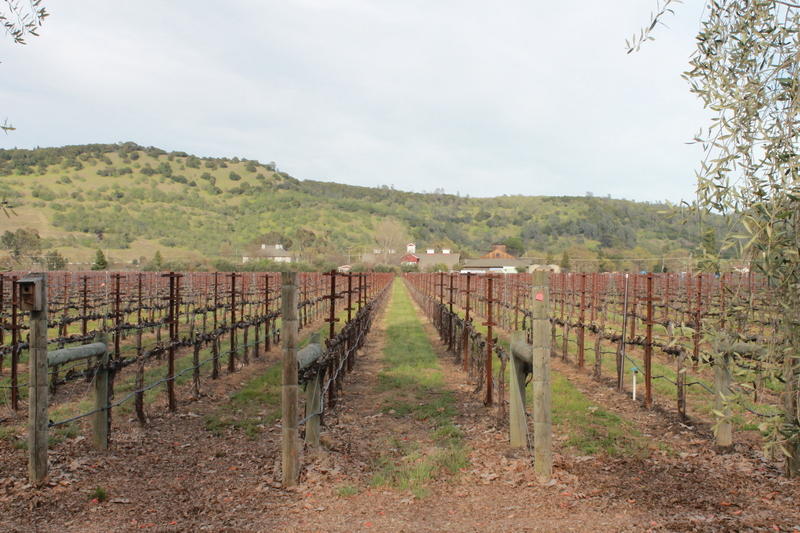 75 degrees and sunny is what the forecast showed for the day in Napa, California. 9am came quick, just as I was hoping it would. My good friend came by to pick me up; we stopped at Bartavelle for a quick cappuccino then we were off. Headed for Napa to spend the entire day in, what was for me, an educational experience. The day started early, but the highlight was to be that night. 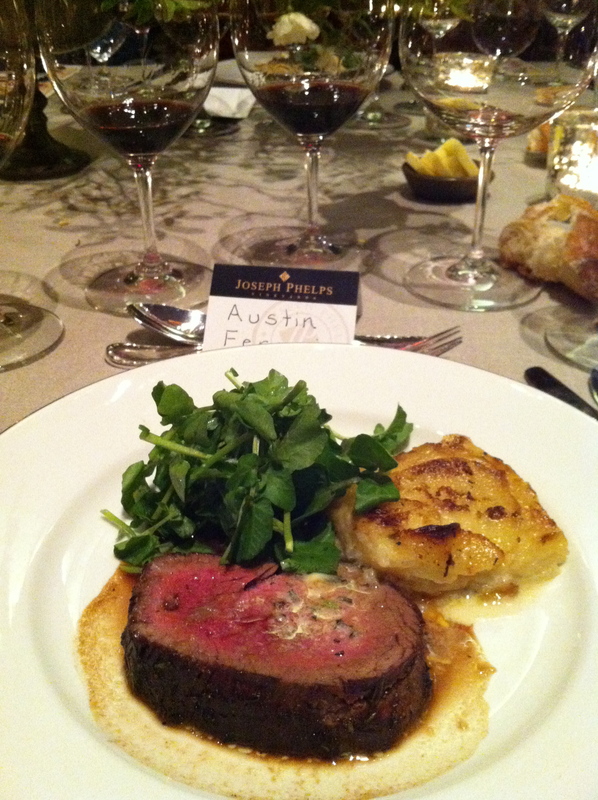 A dinner event showcasing Joseph Phelps finest wines with food prepared by Chez Panisse chefs for the 40th Anniversary of Phelps winery. Our day started in Yountville. We walked about, conversating on the different wines coming from Napa. What Napa is mostly famous for. The top vineyards. The difference in locations from one winery to another, etc, etc. We also talked food, since we were of course passing The French Laundry, and then having lunch at the wonderful Bouchon. Should we do some tastings at the taste Yountville that was on the strip that day, or should we wait to have a bottle at lunch? We both opted to wait it out a few more minutes, grabbed another shot of espresso, took a few photos, and then headed into Bouchon for lunch. Reading and deciding, what to eat but more importantly what to drink? This seems to always be struggle for myself, so I usually just leave it up to my guest. I gave it up to my friend to pick, and so he did; very very nicely. 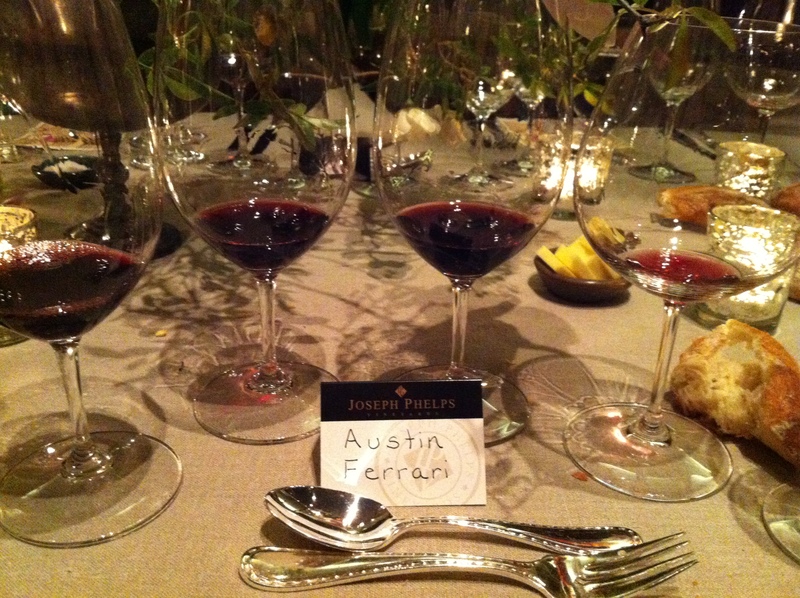 Since we were in Napa, he wanted to showcase that, choosing a stunning bottle of Kelly Fleming Cab. I was in shock when I first tasted because I thought it was going to be too bold for lunch, however it was nothing near that. It was elegant, light, refreshing, backed cherry pie with hints of mint that tingled the palate. Their was much work into this wine, I could taste it. Somebody worked really hard to make sure these delicate berries were made into a stunning structure of a wine. I was definitely happy with the pick! For food we shared a few things: oysters, beignets de brandade, and a endive + watercress salad with walnuts and roquefort. Entrees were the best of the lunch. I went for the chicken (something I rarely order when I go out). My friend had the Trout, which is what I would’ve chosen prior to the chicken, but we opted to get different dishes. Dessert came, menus were read, but nothing was ordered. We instead went for a glass of 30 year old Dows and myself a glass of 2007 (forget the vineyard) Sauterens. It was most definitely a stunning lunch; one that i’ll never forget. 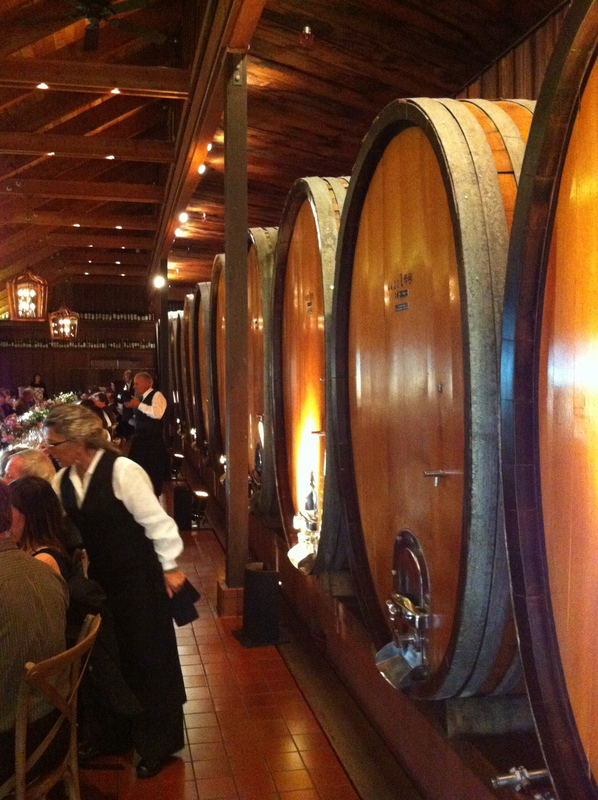 The waitstaff was very friendly, and so was the GM and Wine Director. 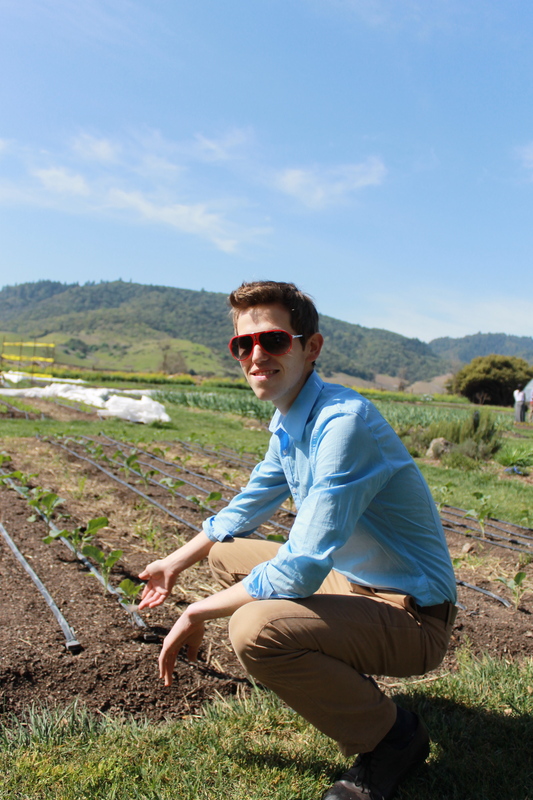 Afterwards, we took it easy, breathed in the fresh Yountville air. Enjoying the day off of work on a Saturday afternoon. It was such a nice day! We headed towards Honig for a quick tasting before our dinner at Joseph Phelps. A quick array of wines to present the vineyards quality and structure. I believe we had a rosé, sauvignon blanc, two cabernet’s, and finished with a late harvest sauvignon blanc (my favorite from the flight). Honig is a new vineyard to me, but I have definitely heard the name quite a few times through previous jobs. I was pleased with the tasting, but unfortunately I was saving myself for the last stop of the day: Joseph Phelps Winery. We pulled up to a long driveway (no sign of the vineyard name at the street). We then pulled into another driveway that was presented with a large wooden gate with the engraving of the vineyard name across it. The moment i’ve been waiting for (and I’m sure my friend felt the same). 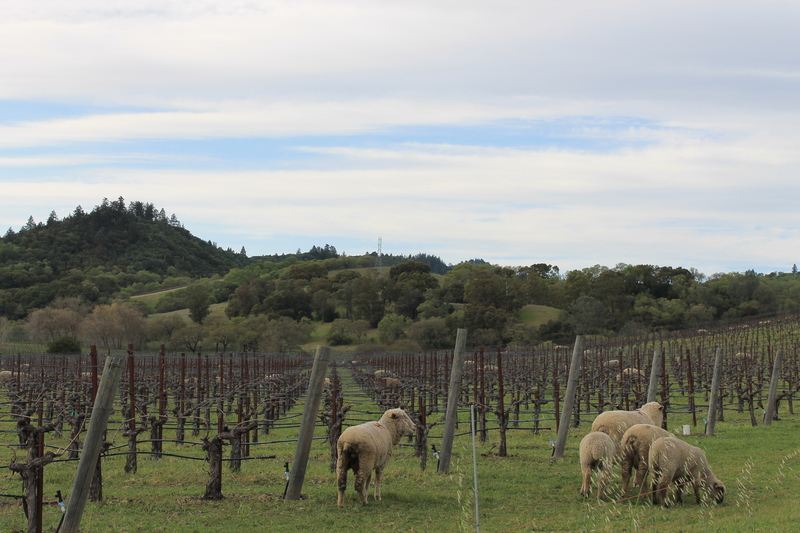 First thing that caught our eye, long rows of cabernet sauvignon vines with a ton of sheep scattered around the field. I liked the feel. Very comfortable as though we were on a farm in the middle of France. We pulled around back, quickly changed into proper attire and walked to the patio where we had Phelps 2011 Sauvignon Blanc with an arrangement of different Hors d’oeuvres. Fantastic start so far. I was even able to spread a little conversation amongst a few of the other Phelps Preferred members; one of which was a member for around fifteen plus years. Amazing! At least we all know that he only drinks the best. Next, the waitstaff guides us all to our seats where our meal begins. I caught a photo in the middle of my meal of what my seat looked like. Impressive, right? And, that was just a quick glimpse as I was going into the main course. Filet of beef with herb + marrow butter. Oh yes! But, I skipped over a little detailed information. I forgot to list the next wines that were after the sauvignon blanc. We next had a 2010 Phelps Viognier with seared scallops. Then, a 2010 Quarter Moon Vineyard Phelps Pinot Noir with Squash tortellini in a squab brodo. Yes, it was really heaven on a plate and in a glass. But, that’s not all! Next was the cheese plate which was paired very nicely with a 2005 Phelps Insignia. The berries in this Insignia happened to be the nicest of the reds all night. It was round, juicy, lightly tannic, gave hints of fig and smoke. I really enjoyed this wine, and I would love to do the same in about ten years from now. After cheese was the apple galette which went with my favorite wine of the night. 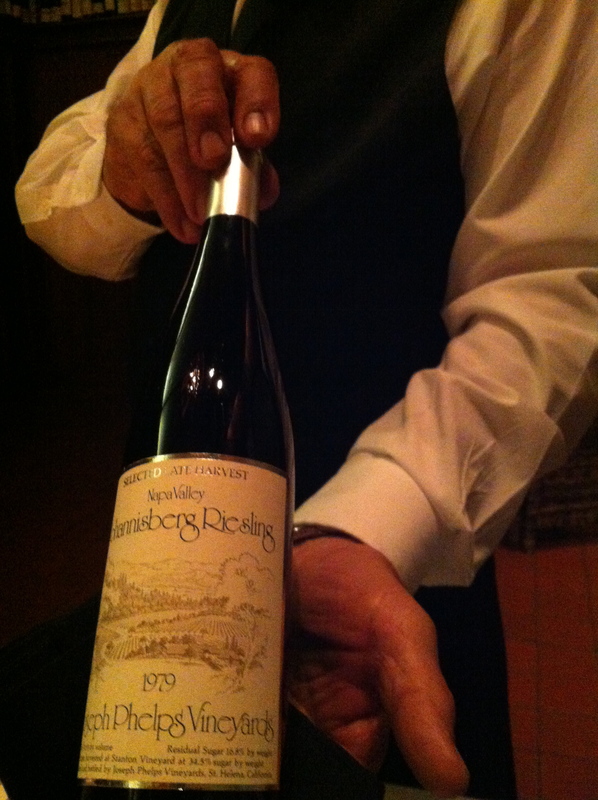 A 1979 selected late harvest Phelps Johannisberg Riesling. I sipped slowly on this one, knowing I would never again be aloud to see such a fantastic bottle of riesling from Napa again. The color was literally brown from the age. Sweet like golden raisins and just held up strongly. I was impressed. A nice compliment to the kitchen, and to the entire floor staff that catered to us that evening. It was excellent I wouldn’t have traded it for anything. Before my visit to Phelps, I have become very obsessed within the wine industry. Trying to learn as much as can when I can. For myself wine is like a story. Every excellent bottle that is opened and poured has someones name written on it, and betrays an array of different tastes that only one specific region can present. It’s almost like food. People eat at The French Laundry and fall in love with a dish that will, more than likely, not be able to be replicated in any other kitchen. With myself, I fall in love with a certain wine from a certain grower and know that I better hold that to heart, because I know I’ll never be able to find such thing again. Thanks again to a great friend that invited me to the event. Hopefully I’ll have many more trips like this one in my near future.